يقع فندق B&B@The Redwoods، المصمم ليناسب كل الضيوف سواء كانوا من رجال الأعمال أو السياح، في مكان ممتاز في أحد أكثر المناطق تفضيلاً في مركز مدينة روتوروا. يقع مركز المدينة على بعد 3. Km فقط. ويمكن الوصول إلى المطار خلال 10 دقيقة. إن سهولة الوصول من الفندق إلى المعالم السياحية الشهيرة الكثيرة في المدينة كمثل ‪Redwoods, Whakarewarewa Forest‬, ‪Statue of Jean Batten ( Jean Batten Square )‬, ‪Sulphur Point‬ هو استثنائي بحد ذاته. كما يقدم B&B@The Redwoods الكثير من الخدمات لإغناء رحلتك في روتوروا. تتضمن الميزات الرئيسية في هذا الفندق: واي فاي مجاني في جميع الغرف, خدمة التنظيف يوميًا, تسجيل وصول/تسجيل خروج خاص, خدمة سيارات الأجرة, مجهز لذوي الإحتياجات الخاصة. في B&B@The Redwoods غرف نوم يزيد عددها عن 2 صممت بذوق وعناية لتوفر لك كل وسائل الراحة . بعضها يحتوي أضاً على تلفزيون بشاشة مسطحة, اتصال لاسلكي بالإنترنت, اتصال لاسلكي بشبكة الإنترنت (مجاني), غرف لغير المدخنين, تدفئة. إن تدليك, حديقة هو المكان الأمثل في الفندق للاسترخاء وتفريغ طاقتك بعد نهار طويل. يحظى فندق B&B@The Redwoods بموقع ممتاز وخدمات يصعب منافستها. We had a wonderful stay here. Spent 2 nights. Vivian was an absolute doll!! So helpful in giving us suggestions on what to see and do and booked a couple events for us. Thoroughly enjoyed our stay here. Would highly recommend it. A private residence near the Redwoods. Stayed in the guest bedroom and served a nice breakfast when we woke up. Very clean and great hospitality shown! The host, Vivian, was very helpful. She gave us a lot of tourist information about Rotorua and this help us save a lot of time searching. She also helped us booked a restaurant for dinner an this truly helps a lot! The best host we have ever seen. About the place, the room is very clean and decent with a bathroom way better than I expected. Maybe my experience with B&B was not very nice before. All in all, truly worth recommending. Everything is good. The room and toilet look new and clean. The owner is friendly and helpful. The only problem was that couple of the lights kept flickering a bit undesirable. In sum, it is value for money. Vivien was one of the best hosts I had come across while traveling New Zealand. She welcomed us with so much warmth and gave us so much information and suggestions regarding the places we can visit with our little one. She made us feel like we were home and the room was lovely with comfortable bed and a decent bathroom. The outside area infront of our room was very nice but unfortunately it was too cold for us to enjoy spending time there. 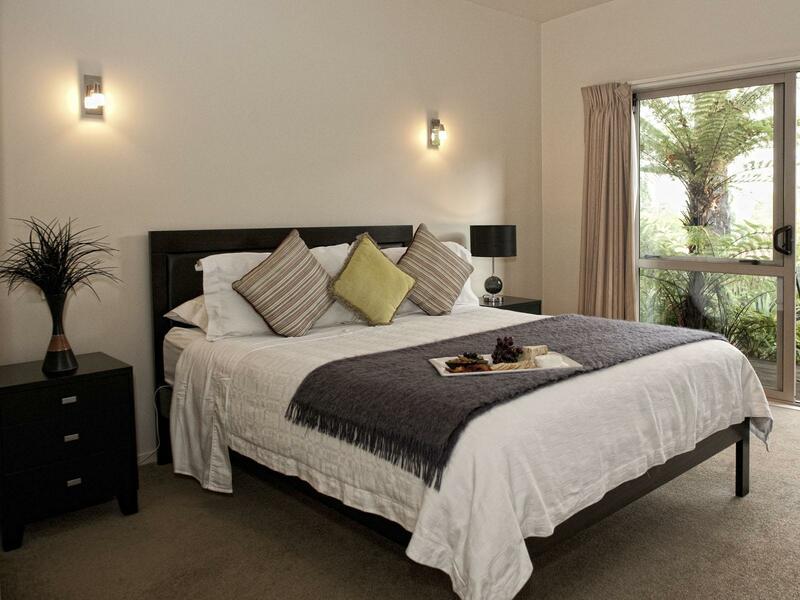 The location is very good as well as you will be couple of minutes away from the stunning redwoods forest and every other activity in Rotorua will be couple of minutes drive. I absolutely recommend staying at the B&B! Terrific hostess.Vivian went out of her way to ensure we were well taken care of including making suggestions and arranging visits to must see sights. Great breakfast as well. Great value with a fantastic host. We will be back. Very nice! Would definitely come back! Vivien is the perfect host. We had an excellent stay at the Redwoods. Vivian was extremely helpful and helped us planned our entire time in Rotorua. She is very knowledgable about the city. The room and the breakfast was excellent. The only negative was that the prices for the wine/beer were not marked and we were charged 20 dollars a bottle (double the supermarket price). 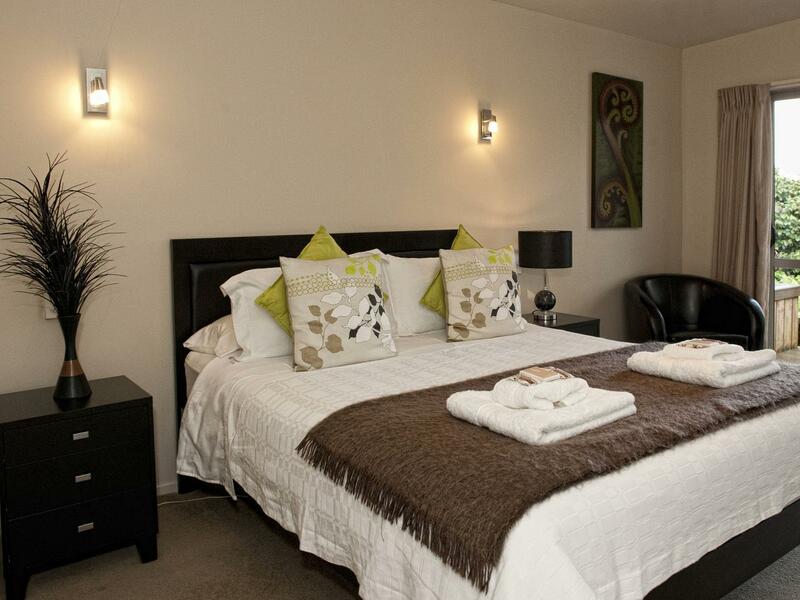 The redwoods location is easy access to all Rotorua attractions. Vanessa is very helpful and can get some entry discounts to various venues. Breakfast is good. Vivian was a great resource and super friendly. easy walk to the redwood forest. terrific! Hostess, food and informed support and advice. Vivien, the hostess made our stay a great experience. We felt very comfortable during our stay and Vivien supported us with all kinds of information about sights, activities and dining locations. Vivian was a great hostress.. Fantastic. Loved Vivian and appreciated her suggestions and friendliness. Comfortable bed and very clean room. This B&B was in a great location, withing walking distance to the redwood forest and short driving distance to the downtown area and other attractions. While the room was small, it was very clean, with a well-appointed bathroom. Vivien was a terrific host, full of information and recommendations about the area. Breakfasts were substantial and delicious, with lots of fresh fruit. The private entrance to the guest level was convenient, as were the separate guest lounge, outdoor patio and on-premises parking. I have to spot this at the beginning, Vivian is a extremely nice, friendly and good hospitality to us. We had an unforgettable and great experience in Rotorua and stay in Vivan's nice house even we'd only stayed 2 days in Rotorua. Vivian always provided us good information to our NZ trip. By the way, i must put the "Like" to the breakfast! ^^ worth to stay!